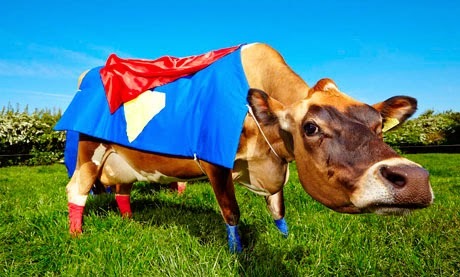 Are you picturing cows in a blue spandex suit with an S on the front and flowing red cape? You are now… Moo. Turns out that cows can, in fact, save the planet by doing what cows do best, eating, tramping the ground, and crapping everywhere. 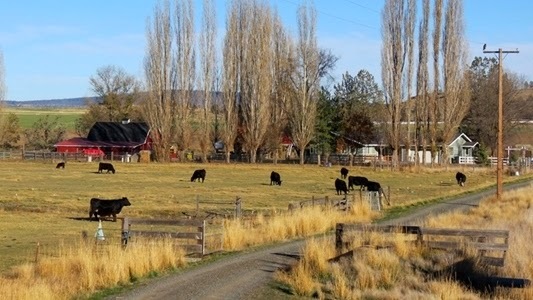 The by-product of such activity is rich top-soil, beef, milk, leather, clean air, and prosperous farmers and ranchers. Wait, what? I thought cows were bad for the environment. This book primarily focuses on soil structure, retaining fresh water on land, and sequestering atmospheric CO2 in the soil where it supercharges microbiology. It is bursting with hope for our environment that doesn't require shutting down our economy and trading in cars for bicycles. Soil, herbivores and predators all evolved together. We need all three elements (or a close facsimile of predators) for grasslands (and farmlands) to thrive. Throughout earth's history, soil microbiology and fungi have worked together to provide anchorage, water, and liberated minerals and nutrients to plants. Seth Itzkan from Hut With a View website. In return, perennial plants with extensive root systems keep the soil aerated, protected, and—this was new to me—pump liquid carbon compounds deep into the soil. Whereas in bare soil, the water evaporates, the topsoil blows away in the wind or washes away with heavy rain, and sequestered carbon oxidizes and returns the atmosphere as CO2. Carbon is the basis for all organic life transactions and soil needs lots of it. Lucky for soil and plants there's billions of tons of it hanging around the atmosphere. Herbivores mow the grass, (preventing chaff from drying and shading the younger plants, stimulating root growth, et.al.). Their hooves stomp seeds into the soil and crush plants which feed the microbes and provide deep hoof prints for retaining rainwater. 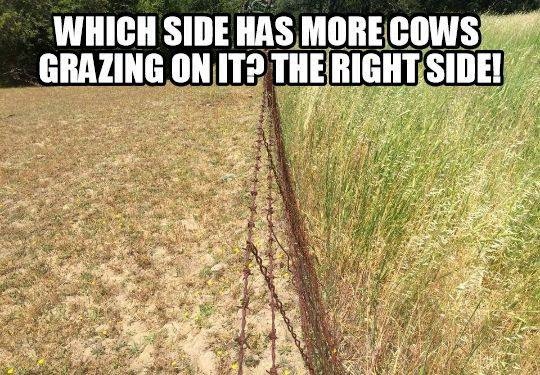 (Have you ever ran around in a cow pasture? If you need your ankles sprained, it's a good way to go about it.) They also are walking composters, breaking down foliage and casting it off, rich with gut bacteria, feeding the soil. Predators keep the herds bunched up and on the move. The bunching breaks up the soil just right, ensures an even mowing (instead of just nibbling on favorites) and then moves the herd to prevent overgrazing and degradation to the area. How can we use this to save the planet—we can’t set packs of wolves on our cows. How does this help farmlands? Excellent questions. These observations sparked the development of Holistic Management. This method of land management uses the above principles to restore degraded (in some cases desertified) farmlands and grasslands. Nature can take hundreds of years to add a measly inch or two of topsoil, whereas lands under Holistic Management can add several inches a year. Under HM, soil is covered year round with plants and, since we can't set wolves on our livestock to keep them bunched, they are kept in small temporary fences and moved on a schedule customized for conditions of that area. 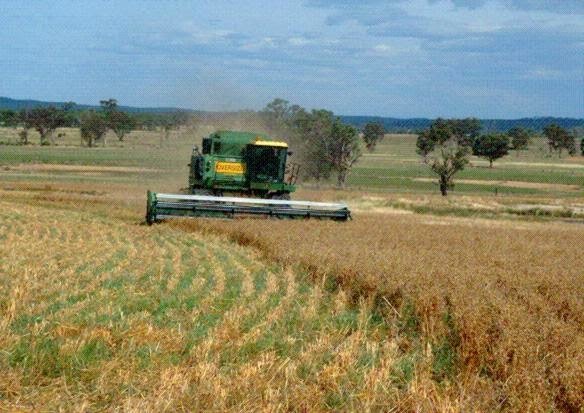 Pasture crop harvesting at Winona farm in Australia. 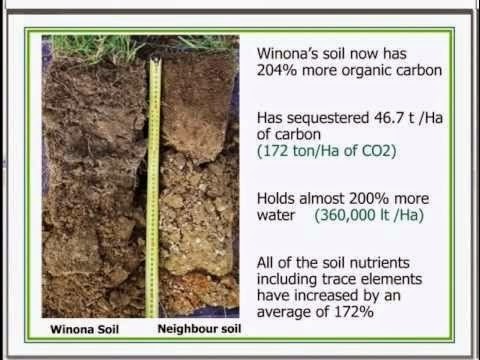 In one example, an Australian farm/ranch called Winona was able to add fourteen inches of topsoil in ten years, despite the less than average rainfall during this time. They primarily used pasture cropping, where oats were “drilled” into a pasture of native grasses, rather than tilling the land. At harvest time, oats are standing tall among a field of perennial green pasture grasses—there is no visible bare soil. The herbivore of choice on the Winona farm/ranch is sheep, which graze the pasture on a strict schedule. Colin Seis is the fifth generation of his family to farm there and thanks to his regenerative (and profitable) farming methods he needn’t be the last. No chemicals and more nutrient dense food. A healthy soil structure means fewer inputs (or none) in the forms of fertilizers and assorted ‘cides. Holistic crops are naturally disease resistance because they aren't nutrient deprived, (e.g. powdery mildew can be treated chemically but good bio-available calcium in the soil will prevent infection), they aren't mono-cropped so pests won't ravage an entire field because of the buffering provided by other plants and the presence of a healthy eco-system including predatory insects that keep the invaders in check. Also because of the plentiful minerals in healthy soil (liberated by our microscopic friends) foods contain higher quantities of vitamins and minerals. Did you know it is possible to eat an orange today that is completely devoid of Vitamin C and apples devoid of calcium? Yeah - I didn't either. Water is of the essence. 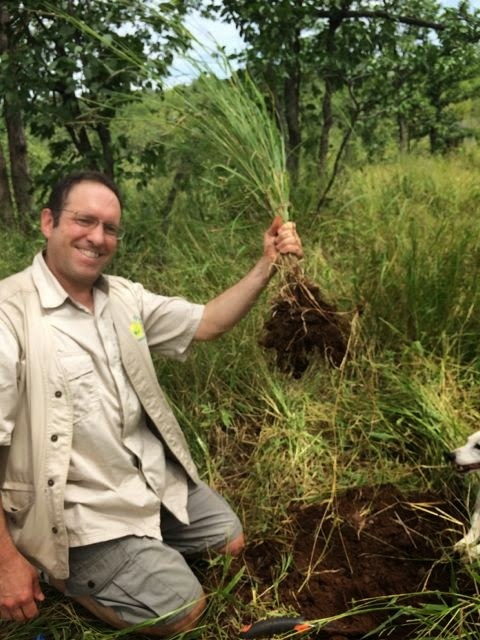 Holistically managed land makes the most of rainfall, keeping it in the soil where it feeds crops, amasses soil humus, and replenishes aquifers. Sequestering rainfall has many positive effects, less runoff, less particulate in rivers, less flooding, less erosion, less fresh water loss to the sea, less desertification. Less badness—more awesomeness. Chapter three is entitled, The Making and Unmaking of Deserts—The Grazing Paradox. Deserts can be unmade? I have always considered deserts as a dead end. One man, Yacouba Sawadogo, reclaimed land from the desert by digging shallow pits and sprinkling in manure and seeds. Sparse rainfall was collected in the pits, plants took root, more manure was added and thirty years later a once barren land was dotted with trees, grasses, and a vibrant farm. He is dubbed, “The Man Who Stopped the Desert”. This simple story of one man and animal poo filled me with more hope for our survival than all the environmental conservation movement to date, which has typically been, people=bad. I’m being fanciful here, but humor me... Inland jungles typically are responsible for their own water cycle, when the jungle is gone the water is gone too. 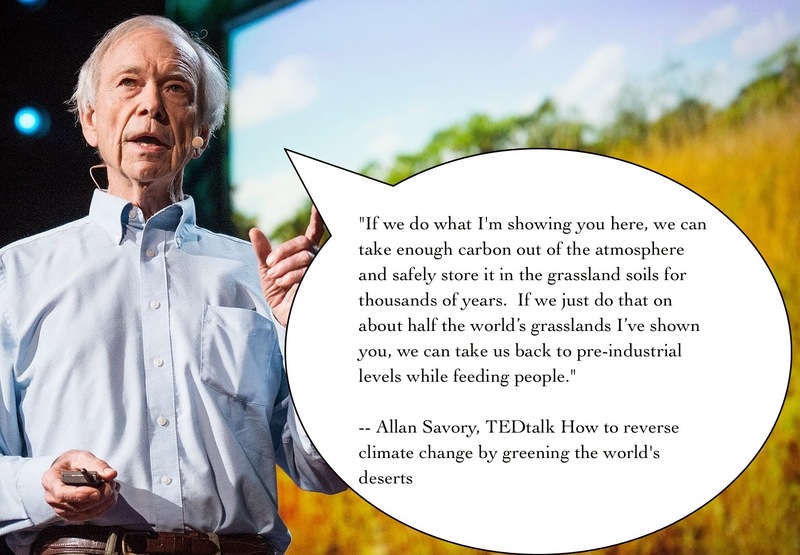 Imagine that process in reverse, imagine the Sahara Desert a vast jungle sequestering CO2 and providing homes for species on the brink of extinction—or perhaps as a savannah, with elephants, zebras, and wildebeest thundering across vast plains, with lions in slinking through the grasses. Imagine that people and livestock created that. Pretty neat. I'm sewing up some cow sized blue suits—tonight. This is the end of the Book Review. You have done your due diligence and I appreciate your time. The following paragraphs are pure indulgence on my part. These observations and ideas have been bumping around in my head for years and thanks to this book I see how these pieces fit. River Health - or Lack Thereof. My father-in-law and I were discussing the Willamette river and its supposed recovery from the days when sewage and industrial waste flowed unabated into the river. He said that it is a difficult scenario, that water almost needs to pass through a filter before going into a river. My imagination served up an image of a huge Brita water filter collecting runoff. Sewage still flows into the Willamette during heavy rains, but even if that were curtailed, the river would still be polluted. The city streets sluice water into storm drains that flow straight to the river, carrying with it all dirt, debris of city life. Imagine if the city absorbed that water instead, in bioswales or healthy green spaces. Less runoff to flood the river, less garbage and filth in the water and recharged aquifers. Soil, is that Brita filter. I read an article once that explained mammoths were the greatest composters and tillers of the ice age. After their extinction, the tundra steppes that spanned Asia, Europe and North America lost their vitality. The was the first time it occurred to me that grasslands need herbivores. This is a kid's book I read to my girls. It follows the bison’s connection to the great American Plains through Native Americans, Cowboys, the Dust Bowl, Teddy Roosevelt and the returning herds and their influence on the health of the plains. In Jean's naturalist style, she details the plant and animal species returning to the land. This was the first time I learned that herds trampling the ground helped water absorption, as well as fertilization and mowing. Another book I read to my girls describes the restoration of the ecology in the Yellowstone National Park since the return of wolves. Herbivores, unchecked, will overgraze grasslands and damage riparian areas. The wolves moved the herds of elk and deer frequently, pushed the goats and sheep back into the mountains, brought the coyote population back under control. Jean details the return of bird, mammal and plant species that all but disappeared with the wolves. A short thirty-two-page children's book did a better job of demonstrating the importance of apex predators than all of the scholarly or emotionally charged articles I've read to date. Our newest city parks are coming shiny new play structures and rocky, plant laden bioswales, a fancy term for a ditch lined with rocks and plants. I get their importance now and I'm proud of our city for taking this measure to capture runoff and allow the water a chance to recharge our aquifers rather than sluicing it off into our polluted rivers. It's a small step (very small) but I like to see the implementation. We have a ring of mushrooms in our yard that pop-up every fall, just in time for the leaf drop. We rake them up with the leaves and toss them in our yard debris. Charley, fearful that they are poisonous, has toyed with treating the area chemically, but I resist. It is our ONE patch of grass that is healthy all year long. The long, super-green grass follows the arc of the mushrooms. Our back yard is clay, soupy all winter and hard as brick all summer. Except for this one arc. It has piqued my curiosity for years. Lovely Tillamook. Could it be improved? Maybe. There is hope for our the climate of our planet. There is hope for feeding or growing population. We can make deserts and we can also unmake them.